I wasn't really sure what to expect. However reading the sample had me intrigued as to where this story could go. It takes you on a wild ride for sure. Almost too much to take but carry on and read more. It's like two people discovering themselves and each other at the same time. It's well worth a read. This the second book in the series, but you don't need to read the first one although you do see the couple from the first book. 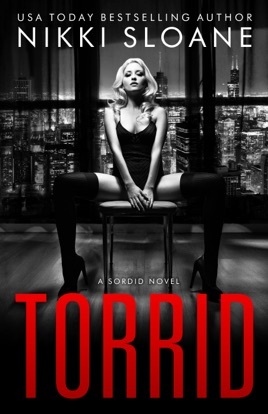 Torrid is a dark love story, and I loved it! Not as dark as Sordid (I read and loved that book too) but still dark. I loved the two main characters and how they grew together. How they both thought they didn't have a heart or feelings but found them with each other.